Just how good is UMass? Just how good is Yale? Surely these are two questions being kicked around the college hockey community. UMass is a team that was not picked to do much this year yet they find themselves at 7-2-0 to begin the year and atop the Hockey East standings. Yale on the other hand was picked 8th in the preseason poll coming off their conference title last year, gained some traction despite not playing, and has struggled a bit to start the year. Will the real contender please stand up? Let’s just cut to the chase, Yale will most likely be as good as their goalie. They rode senior Alex Richards to their NCAA berth last year and despite some other talented players they’ll have a tough time repeated that success without someone solid in net. The Bulldogs have four goaltenders on the roster but to date have only used junior Ryan Rondeau and freshman Nick Maricic. Maricic has put up decent numbers so far, 2.40 GAA in two games, which is surprising because he did not really impress last year in the USHL. Rondeau has been ok with a GAA of 3.28 and save percentage just about .900. Certainly if UMass can take advantage of the uncertainty in net it would serve them well. Offensively Yale has looked pretty good. Junior forward Broc Little has scored a goal a game thus far while sophomore Brian O’Neil has 7 points in Yale’s 5 games. Thomas Dignard leads a defense that lost no one of consequence from their squad last year. Yale’s power play to this point has been a very dismal 11.5%, only scoring 3 times on 26 chances. Their penalty kill is also near the bottom of the pack for the ECAC at 76.2% but thus far they’ve taken very few penalties, even compared to the other shortened season Ivies. On the UMass side of things the good news is that according to the Gazette, Toot expects to be completely healthy for this game as T.J. Syner and Rocco Carzo will be returning. The bad news is that teams are wary enough of the team’s strong power play to do their best to stay out of the box. Both Niagara and UNH did a pretty good job of taking a minimal amount of penalties and make the Minutemen play 5 on 5. This will likely continue tonight since as mentioned Yale is the least penalized team in the ECAC. That means the team will really have to work to overcome some of the even strength struggles and miscommunication that was apparent in the UNH series. Hopefully the return of Syner and Carzo will help in that regard. This is certainly quite an opportunity for the Minutemen to knock off a top 10 team in their own barn and legitimize the fast start they’ve gotten off to this season. Speaking of barns I’m very much looking forward to my first trip to The Whale, one of the more storied arenas in college hockey. Let’s hope the Minutemen make it a good memory. The Daily Collegian has a preview of tonight’s game as well as a sidebar with notes on Boehm, even strength play, and polls. 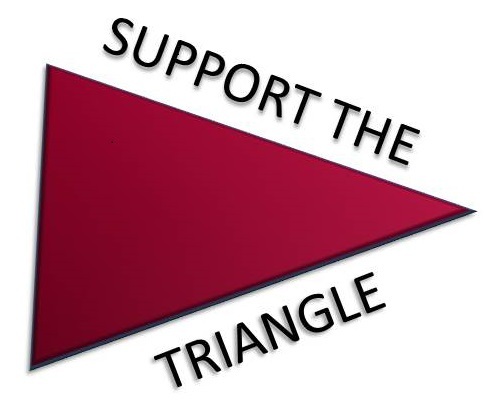 Don’t forget to check out the Fear The Triangle twitter page as I’ll be posting updates during the game.